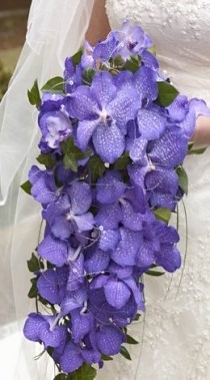 We supply everything, from the Bride's and Bridesmaid's bouquets and headdresses, Groom's and Gentleman's buttonholes, the Ladies' corsages and sprays, to the table displays and chair covers. 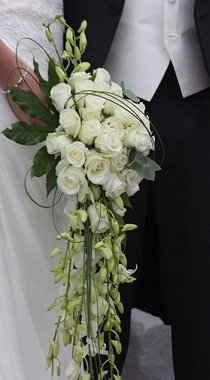 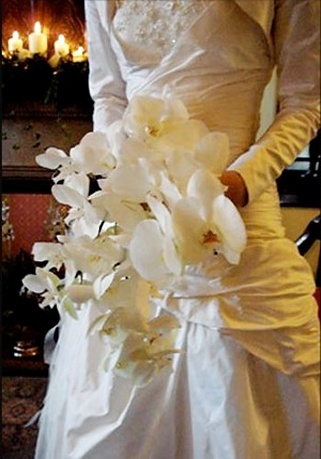 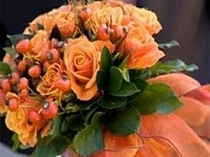 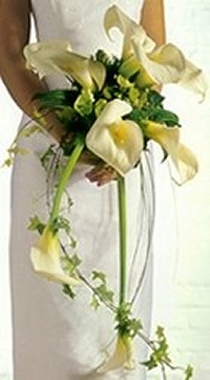 Bridal Bouquets price range from �, bridesmaids designs from �. 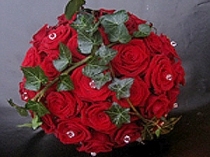 We also supply a range of wrist corsages, baskets with rose petals, flowers for hair, teddy bears and decorated wands. 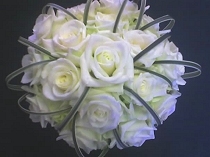 Please see our price guide to view all our prices. 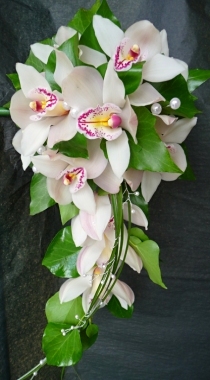 We also design and create flowers for other party members including buttonholes, groom corsages, wrist and handbag corsages and designs especially for small bridesmaids. 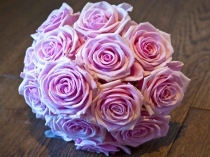 Let us create a complete design with your venue flowers and displays, including pedestal arrangements, altar displays, windowsills, pew end arrangements, pew ends (voile bow with butterfly) and decorated bay trees to hire.